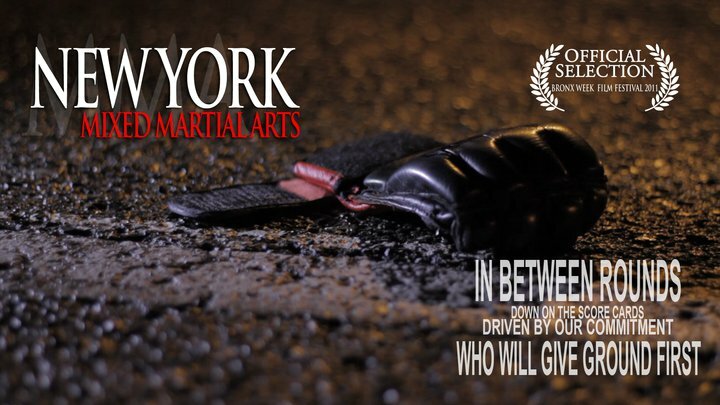 I am very pleased to announce that the film I have been working on with Kahleem Poole – Tejada for nearly a year now, New York Mixed Martial Arts, has been accepted as an Official Selection in the First Annual Bronx Week Film Festival! This is a momentous occasion for MMA in New York as we have struggled to reach the mainstream media with our message that MMA needs to be legalized and regulated in our state. This festival offers an excellent opportunity to reach average New Yorkers, the New York political elite, and promote mixed martial arts in a fair and balanced light. The film is scheduled to premier on May 16th (subject to change). If you have any questions about this film, please do not hesitate to contact me! C’mon the ONLY reason MMA is not allowed in NY is because it would but the final nail in the coffin of the corner boxing gym that NY prides itself on so much. the end of the era of the corner boxing gym in near..and with that all the corner gym legends will be forgotten…..NY and all the old timers want NY to be about boxing.